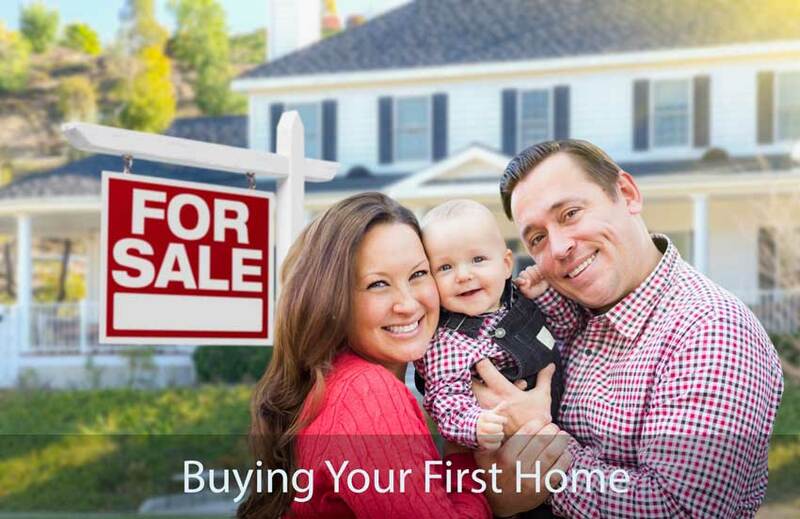 Buying a home can be an overwhelming process, especially if it is your first time. That’s why we put together this guide to make it as uncomplicated as possible. We’ll discuss everything you need to know from before you even begin your search to closing the deal, and everything in between. Before you begin your East Idaho real estate hunting to buy your first home, it is important that all your finances are in order. This will help you get pre-approved for a loan. Meet with a lender to get pre-approved and they will determine how much you can afford and the loan amount you will receive. We know some great lenders in Rexburg, Rigby, and Idaho Falls if you need a referral. This is important because it increases the chance of your offer being accepted. Before you get pre-approved, make sure that there are no errors on your credit card report. Avoid opening new credit cards and making large purchases that could put you into debt. Otherwise, it will be difficult to get a loan. Spend some time brainstorming what you want your home to look like. Think about what features it should have and what matters most to you. Deciding on criteria early on in the buying process will save you from wasting time looking at homes that do not meet your wants or needs. It’s important to consider everything from price range and location to the number of bedrooms and amount of storage space. You may also want to consider the home’s distance from work, school, and grocery stores. Keep in mind that we have a lot of snow around these parts. If you work in town at the BYU-Idaho campus, but if you prefer living in a more rural area, you will need to consider the weather. One last task you’ll want to do before you start your search is to choose a real estate agent. To ensure that you choose an agent who will best represent you, research the resources they provide. Does their website provide daily and weekly updates? Are their buyer's agents available when you need help? Do they work as part of a team that will provide the best support during a transaction? It is important to enter into a Buyer’s Agency Agreement to ensure that the agent agrees to represent your interests and not those of the seller’s. You don’t have to work with an agent--you can choose to search on your own. However, an agent will show you property listings that best match your criteria, help you negotiate a contract, schedule a home inspection, help you navigate difficult legal contracts, avoid costly mistakes, and take care of details for you all the way through the escrow and title process when they had you your new keys. Now that you've made it through the preparation stage of the buying process, you can start searching for your future home! When you tour homes with us, bring your features checklist with you, so you can assess how well the homes meet your needs. Don’t be afraid to ask questions. Find out the cost of utilities, and ask about the amount of maintenance that is needed or Home Owners Associations fees. Once you find a home that is the best fit for you, the next step is to make an offer. First, we will collect vital information needed to complete the details of your offer using a simple and secure form. You’ll work closely with your realtor when you have questions filling it out, and as you come up with an offer to present to the seller. This offer isn’t just about the selling price of the home. You’ll also want to include things like the deposit amount, home inspection costs, what is included with the home, and a closing date. Be prepared for the seller to accept, reject, or even make a counter-offer. Before you officially sign the closing contract, there are a few things you should do first, like complete a home inspection with a company like Spartan Home Inspections. This is not required, but it will identify any serious problems with the house that could cause you to want to back out of the contract or request that the seller fix for you. We strongly recommend a home inspection to each of our homebuyers. You should also complete a pest inspection. Similar to the home inspection, an expert will come and make sure your home is safe from termites and any other harmful pests. You already got pre-approved for a loan, now it’s time to actually apply for that loan by contacting a mortgage specialist. This happens after your offer has been accepted. When you apply, it is important to show that you are in good financial standing. For your application, you should provide tax returns from the past two years, gross monthly income for the past month, proof of investment income, a detailed list of creditors, and banking statements for the past two months. Before you close on the house, make sure you walk through the house one last time and do an inspection of your own, without the home inspector. This is your chance to make sure that the seller has made the repairs you requested, left nothing behind, and moved out. Now it’s time to choose a title company to handle the closing procedures. The day before closing, the title company will tell you how much money you need to bring. You will also need to bring a check for the amount of the closing cost, a valid picture ID, and proof of insurance. Your title agent should also tell you of any additional information you may need to make sure closing day runs smoothly. We work with several title companies in Rexburg, Idaho Falls, and Rigby. You can choose your own or we can reccommend one. It’s been a long process to get to closing day, but once everything meets your expectations, you can finally sign that contract. Congratulations on successfully buying your first home!